This rock was gathered just a few miles from home. It's known locally, along with other river rock, as "Brookwood Stone." In our area, this rock's composition is 90% quartz and 10% chert. 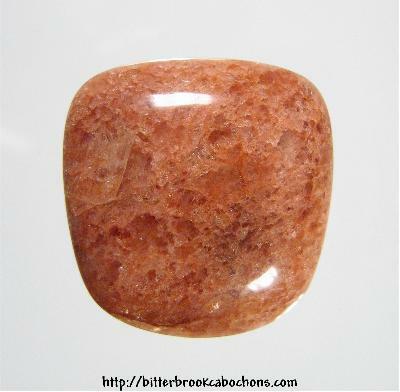 This cabochon is cut in a thumbnail shape and has a real gemmy look. The diagonal line you see at mid-left is a stable fracture. 24mm x 23mm x 7mm. Weight: 35.00 carats.